Deep in the serpentine caves beneath Nottingham, a plot unravels, its sinister tendrils threatening to ensnare Marian’s father in dark accusations of treachery. With her home under a blanket of suspicion and the long shadow of Prince John looming over them, fourteen year old Marian and her best friend Robin seek to uncover the true culprit behind the mysterious theft of the crown’s gold. 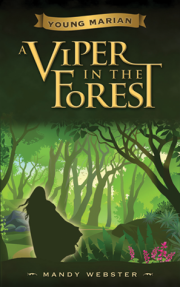 Her quest to catch the thief and prove her father’s innocence leads Marian on a chase through the heart of Sherwood Forest to the bowels of Nottingham Castle. Events unfold rapidly and the villainous Lord Ranulf hovers ever in the background, whispers and lies at the ready. 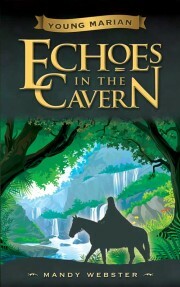 As he weaves his web of deceit, Marian begins to worry that her own impulsive actions may play a part in destroying her father and everything she loves. Marian and Robin’s carefree childhood in Sherwood Forest takes a dark turn when the arrival of a sadistic new lord sets off a series of intrigues including robbery, kidnapping and murder. Marian watches in horror as the man strides, whip in hand, toward where Robin lies helpless. But when Robin’s plan to exact vengeance goes awry, Marian must risk her own life to save him. The Kindle ebook can be accessed by ALL DEVICES (tablet, mobile, desktop, mac or pc.) You can GRAB THE FREE KINDLE READING APP here.